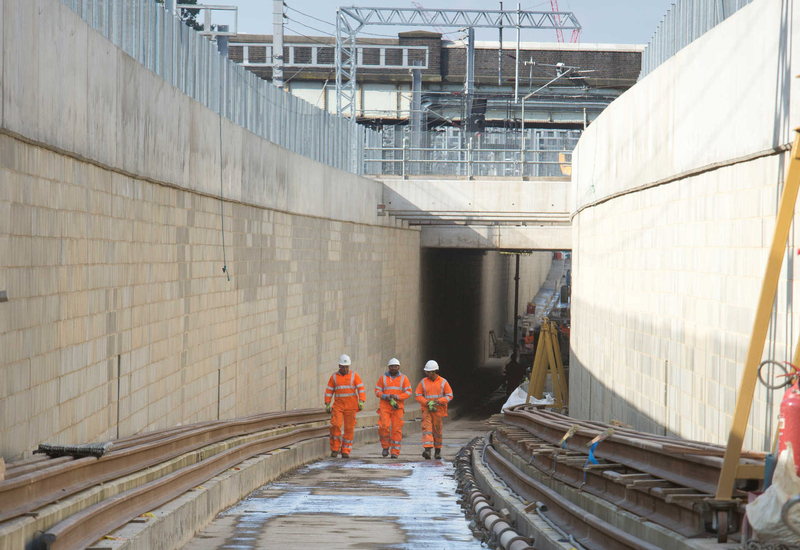 Track and infrastructure upgrades - Crossrail . For information about the Elizabeth line please visit the Transport for London website. A new flyover has been installed at the junction to Heathrow in west London to add capacity this busy section of the railway. This consists of a new bridge to carry the trains coming from Heathrow over the Great Western main line leading to a viaduct and two ramps to link in with the tracks heading into Paddington. At 120m long, the 1,000 tonne bridge is the largest single span rail bridge to have been installed anywhere to the west of London since the days of Brunel and the whole structure stretches to more than a mile in length. The flyover will carry the Elizabeth line and Heathrow Express services heading towards central London enabling them to join the Great Western Main Line without delaying, or being delayed, by other trains using the route. It came into service in January 2017 and is currently carrying both Heathrow Connect and Heathrow Express services on their way from Heathrow to Paddington. 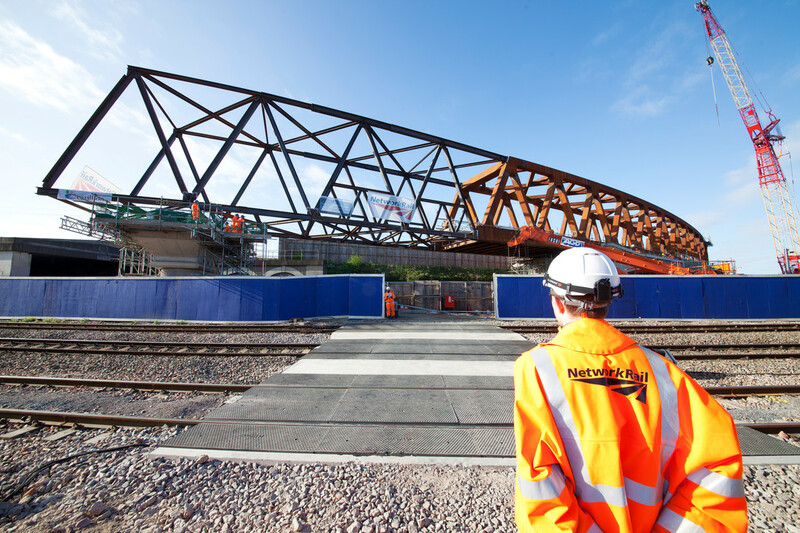 The bridge has been named ‘Sams Bridge’, after Richard Sams who had been the project engineer on Stockley from its inception in 2011 and whose work on the project played a major part in ensuring its success. Richard sadly died suddenly in 2014 while on holiday in Mexico. A dive-under is an underpass which allows trains to pass under another railway track without being held up by trains on the above track. The new dive-under at Acton has been constructed so that trains leaving the nearby freight yard do not delay passenger trains heading toward central London. Freight trains leave the yard by crossing the passenger tracks between Ealing Broadway and Acton Main Line stations. The new dive-under allows Paddington-bound passenger trains to pass under an exiting freight train without being delayed, increasing capacity and reliability. The excavation of the dive-under itself began in October 2013 following nearly two years of work to re-configure the freight yard, which involved moving the tracks in the yard eight metres to the north, line by line over many weekends, and then putting in a new junction. The dive-under came into service in January 2017. 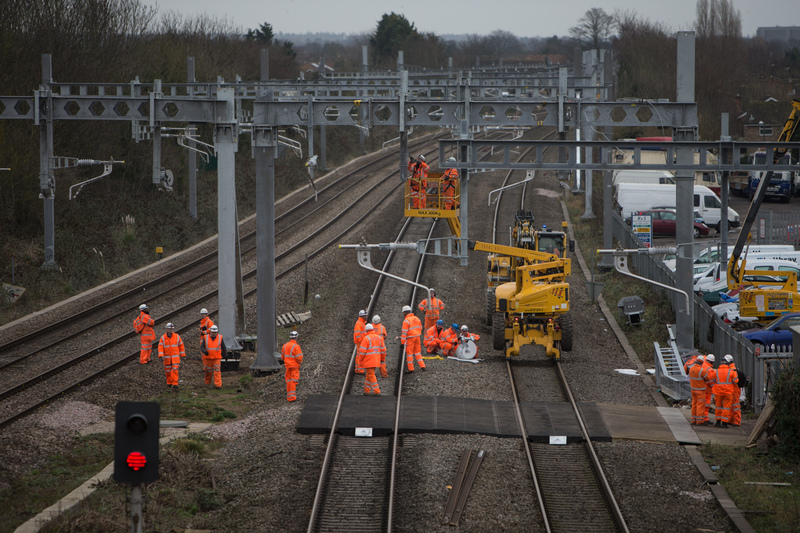 The Crossrail programme includes the electrification of the Great Western route between Stockley Flyover and Maidenhead, beyond which the task was picked up by Network Rail’s Great Western Mainline electrification team. This work involved the installation of 1,400 piles beside the tracks to provide foundations for the overhead line equipment and the erection of steel structures at approximately 50 metre intervals on both the main and relief lines to support the overhead wires. Vegetation also needed to be cleared along the trackside in order to provide a safe environment for the operation of the high voltage wires. Installation is complete and the overhead lines are operational. This will support the operation of the electric Elizabeth line trains and enable Great Western Railway to introduce electric trains between Paddington and Didcot.